Have you ever heard of fairy tale eggplants? Even as an avid farmer and gardener, I hadn’t seen this adorable twist on one of my favorite summer vegetables. 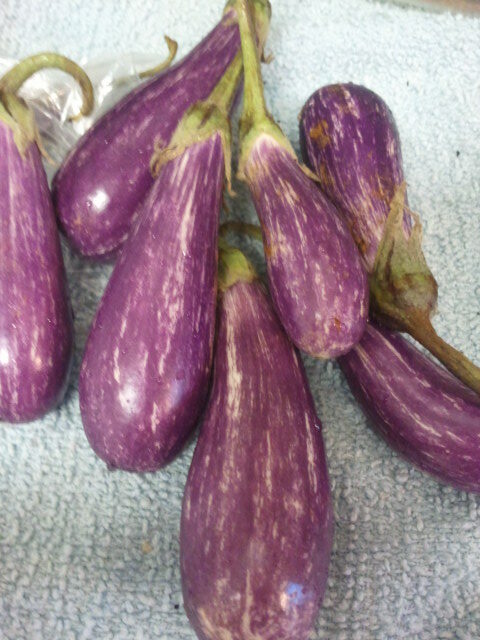 Fairy Tale Eggplants are long, tiny versions of eggplant with a rich purple color. They are delicate, sweet, tasty and perfect for stir fry! Heat the oil in a large pan and add crushed chili peppers and chopped vegetables. 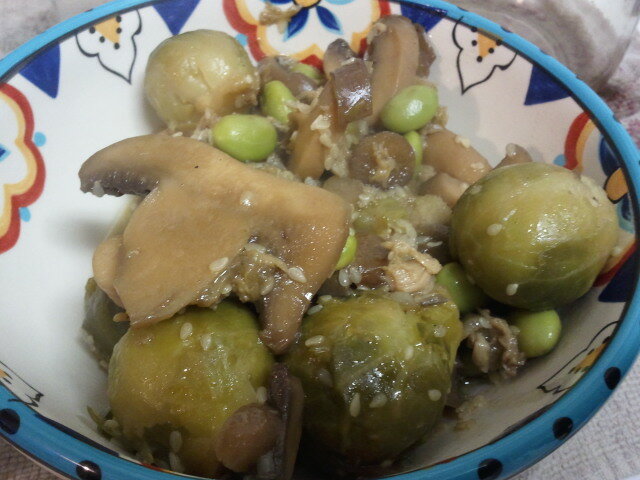 Leave the mushrooms for last. Add the sesame seeds and cook until the water is mostly evaporated. Serve with a side of rice, chicken or whatever you’d like! Such beautiful photographs and the dish looks delicious, lovely variety of tastes and textures.